The business world has no other option but to continually reinvent itself in order to survive in an environment under constant evolution and change. What today makes a company achieve positions of leadership, has become obsolete by the following day, and so on and so forth. Technology is an important support factor enabling businesses to become ‘chameleon-like’ in their search for sufficient efficacy and productivity to help them gain competitive positions in the market. 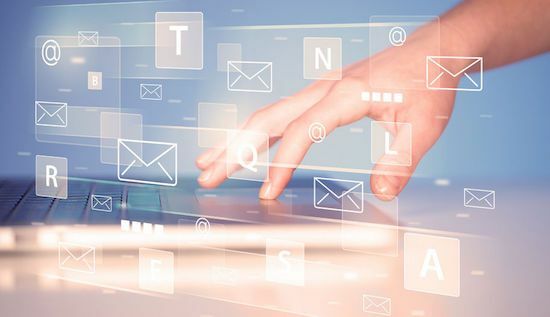 Electronic mail is a tool that has become commonplace in both work and home environments. SilverStorm bridges the gap between the strategy and the transition for business-orientated service management. We listen to what our customers want to achieve; their success is what as a company, and, as an individual, counts. We deliver next-generation service management as part of the digital transformation that our customers wish to achieve. We innovate by adopting disruptive technologies that focus on the business operation and the IT infrastructure. We solve our customers' challenges to create business services that manage heterogeneous environments across a hybrid platform. Our DNA does not permit us to settle for anything less than excellence within every group of the company.